Copyright © 2004-2005. Coutersy of Saigonline.com/Vinet Communication. 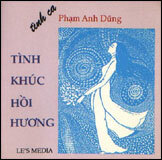 All design copyright � 2004-2005 by Trần Lệ Thủy, all rights reserved.